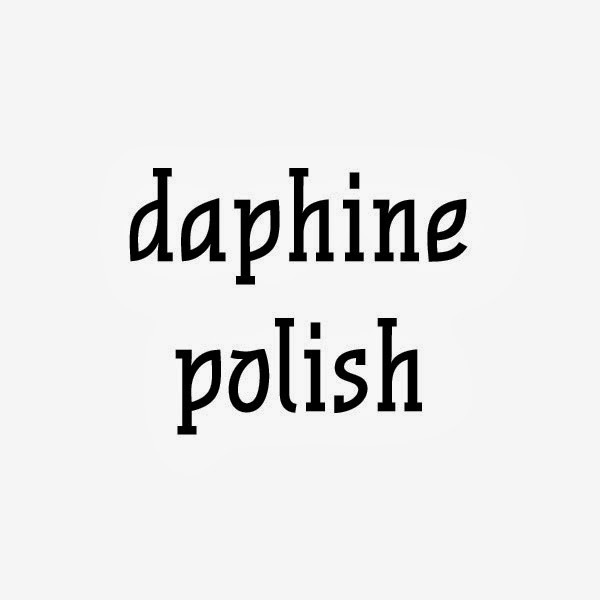 Today I'm presenting you the lovely Joanne, maker of Daphine Polish! Bom dia !! Hoje tenho mais uma marca indie e uma entrevista com a Joanne, criadora dos Daphine Polish !!!! 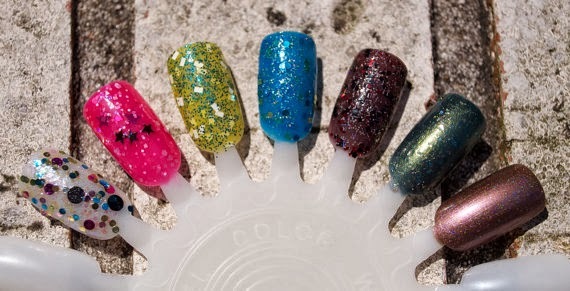 How many polishes/collections have you created? 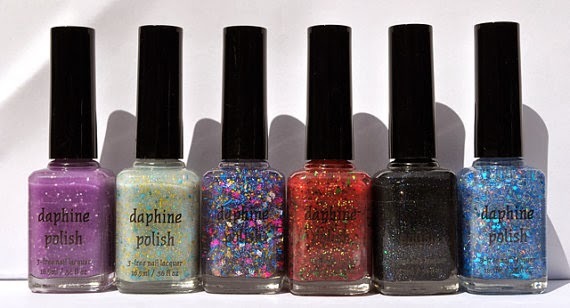 Four collections so far (Daria, Beach, Goddess, and Sleepy Hollow) and a few non-collection polishes floating around, as well. Is there a special polish/collection? Why? Surf & Sand is a color I created for a photo inspiration challenge in a Facebook group, and the overwhelming positive response is what made me decide that I could do this (sell my polish). It's also one of my best sellers! 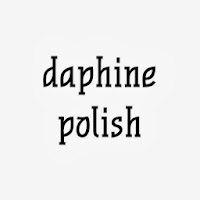 Where you a polish addicted before starting making polishes? Yes! 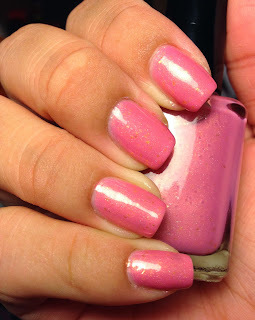 I remember buying Sally Hansen and Revlon Street Wear polishes at the drugstore as kid/teen. Before it had a name (that we knew of) my friends and I would franken our own colors from the assorted polishes we owned. Add too many colors of store-bough polish and you always get a dark blue-black! 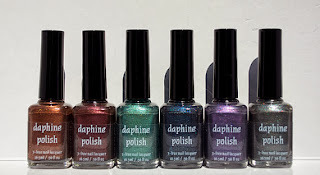 About two years ago is when I learned about the world of indie polish, which really opened my eyes! 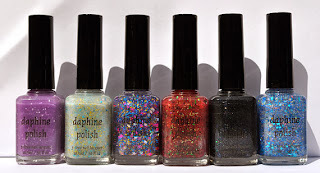 I got into glitters and learned about jellies and crellies and got caught up in the restock madness! At the moment my polish stash hovers around 650 bottles. 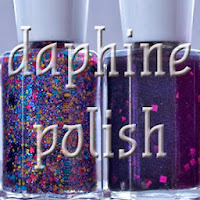 Did you have a blog before making polishes or have you started one after? I do not have a blog. The time I spend editing photos for listings is exhausting, I can't imagine doing it full-time! I do love to share NOTD (nail of the day) pictures on Pinterest but I have fallen out of the habit since I spend so much time testing my own polish now. Whats your favorite thing about making polishes? I love the mad scientist element of it. I put together a color base and then ask myself "what glitter would look good in this?" 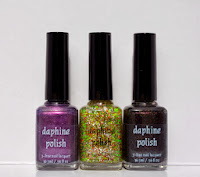 So I pull out all of my glitters in that color (this can take awhile lol) and toss 'em in. You never know what you might create! I also have a pretty mundane 9-5 job, so the creative outlet is great. Support the Girls is a New Shade and for each sold 3$ will be going to the National Breast Cancer Foundation. Thank you so much Joanne, for wanting to be a part of this project! I loved having you here! Once again I show my total support for Indie Makers and my full respect for their work. I will not translate the interviews because words and meanings get lost in translation. I hope you understand. Please pm me or comment bellow if you have any doubts. If you are an Indie Maker and wont to participate in the project, please contact me through Facebook or email (blog.bettynails@gmail.com). You are still in time! Don't Forget to come tomorrow !